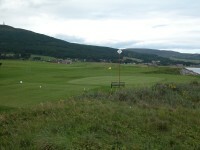 Golspie Golf Club in Golspie Scotland — One of the many appeals of golf in Scotland is the fact that one can skip literally from one town to another, clubs in tow, and sample an array of local links courses like Golspie Golf Club that although may not be truly “championship” in caliber, uniquely capture the spirit and essence of the game at the local level, with memorable layouts unlike any others. 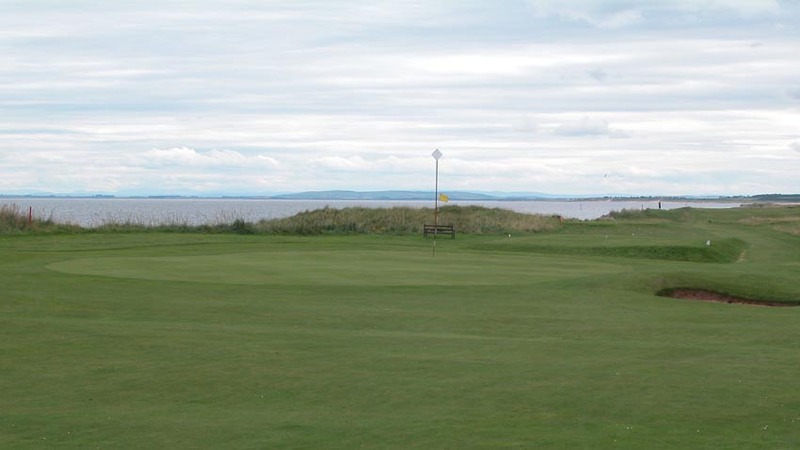 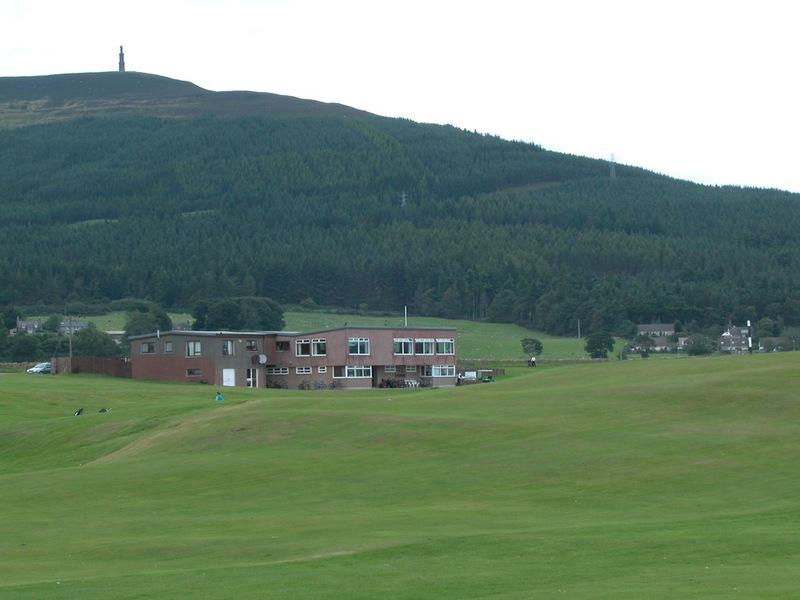 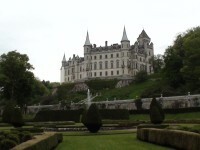 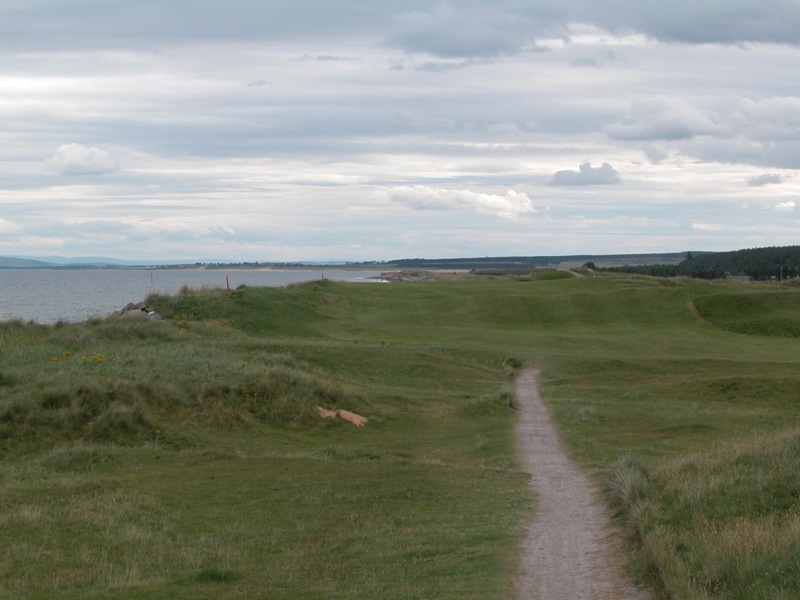 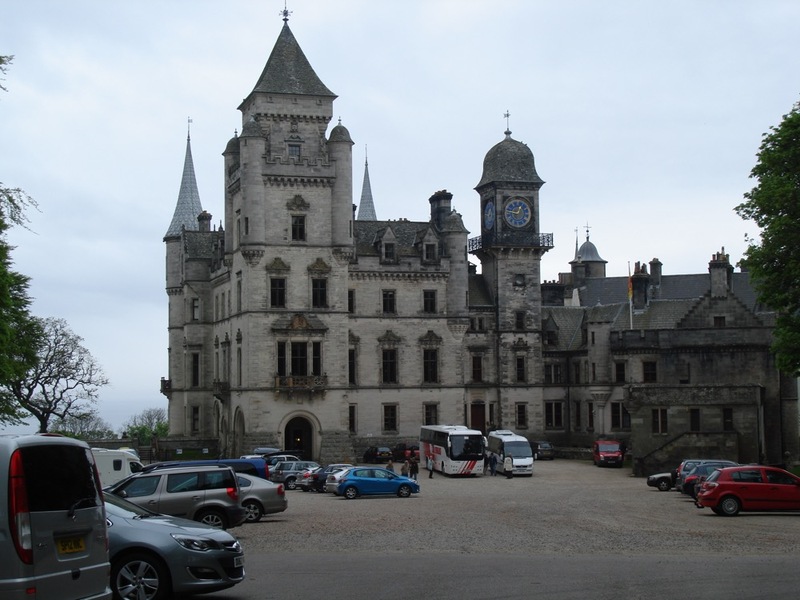 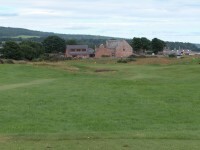 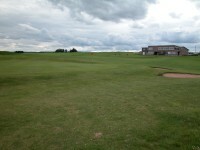 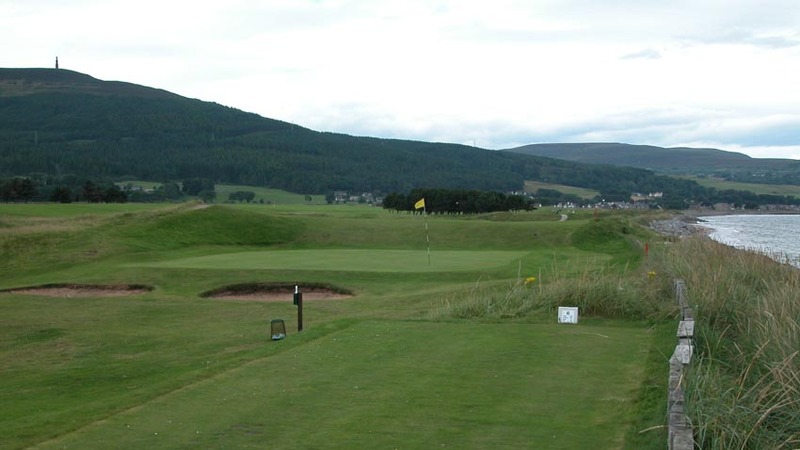 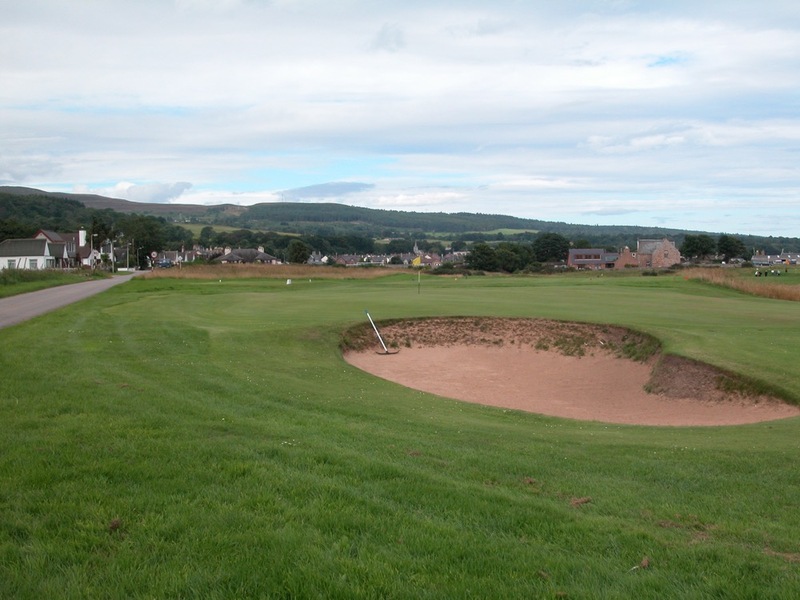 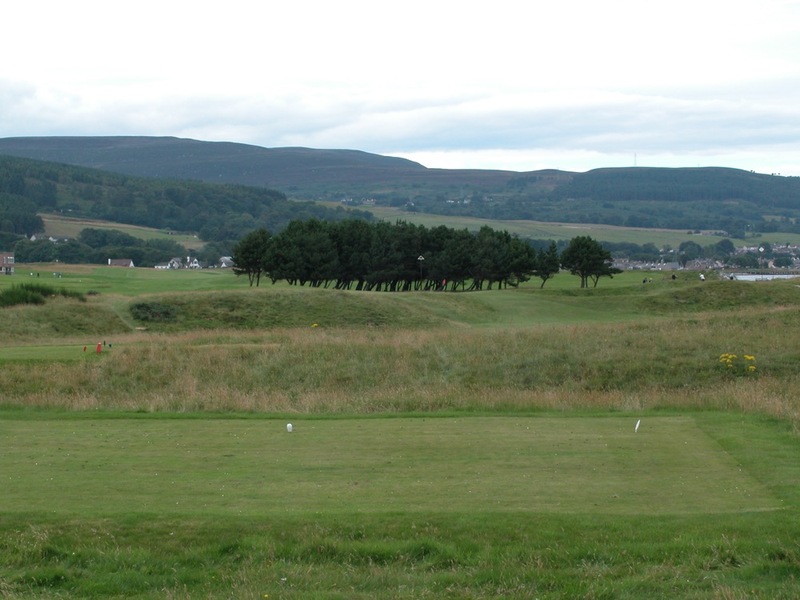 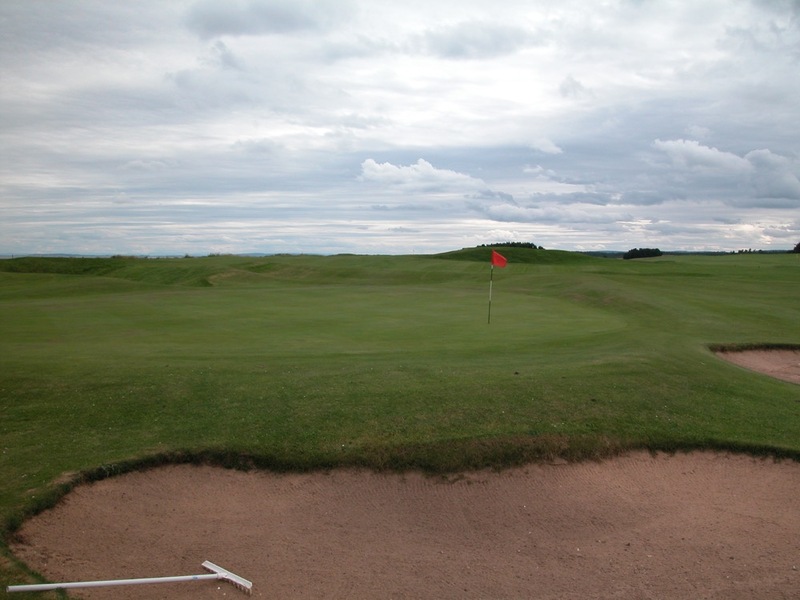 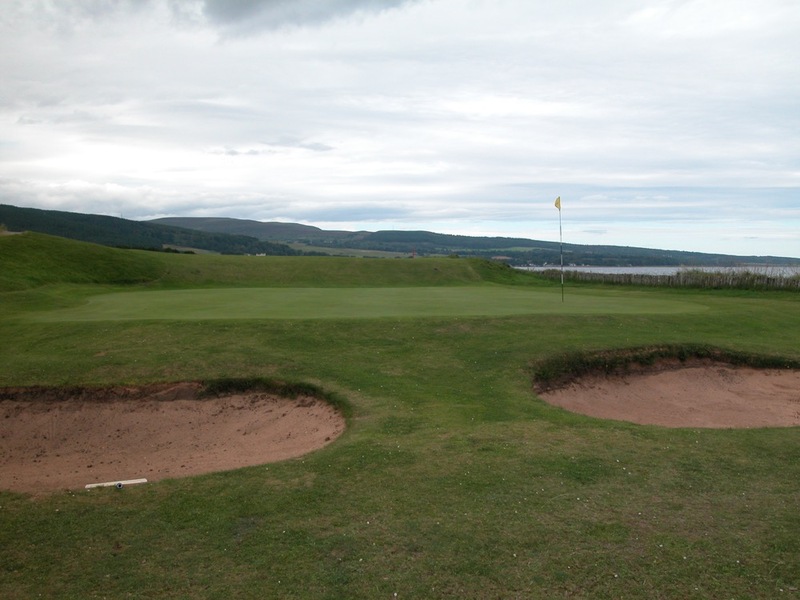 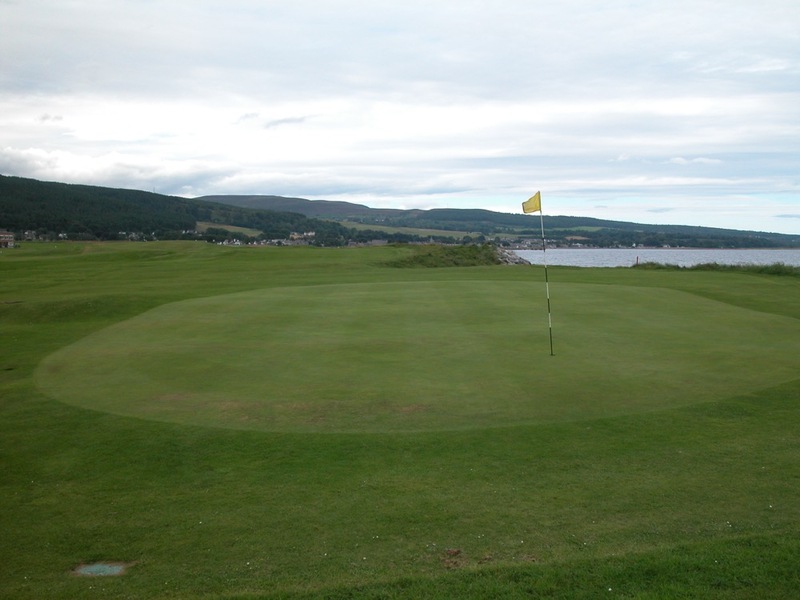 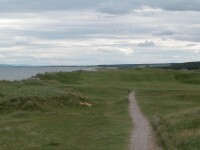 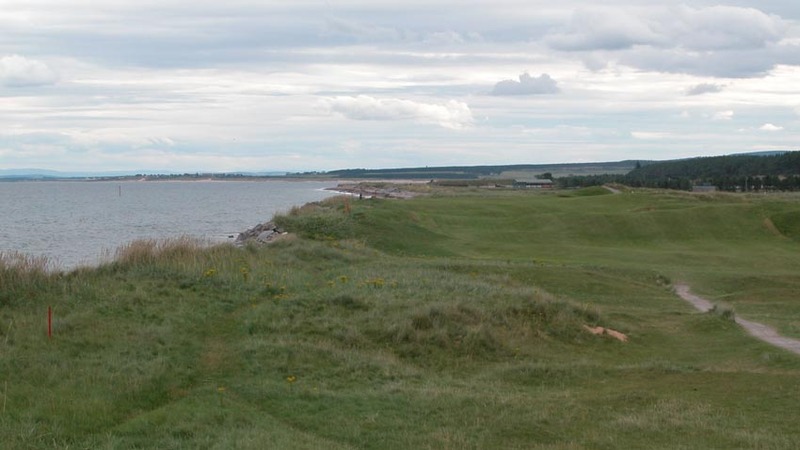 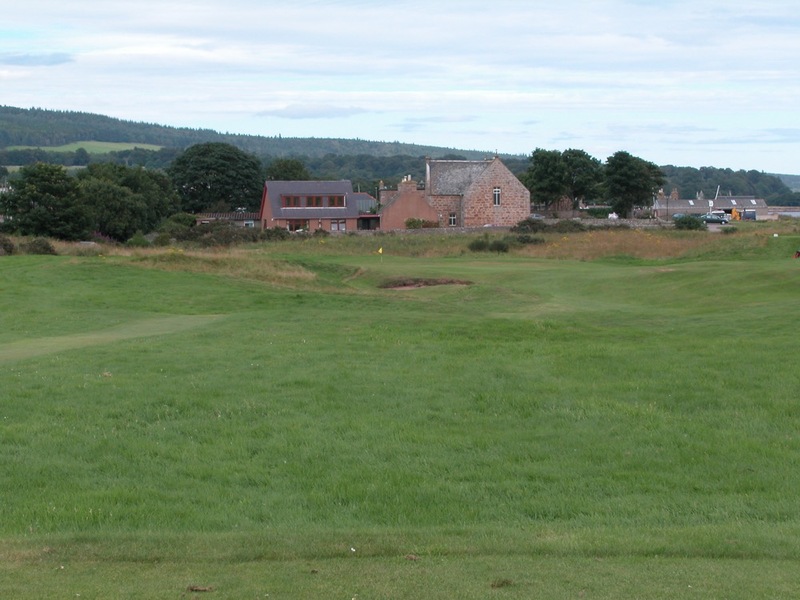 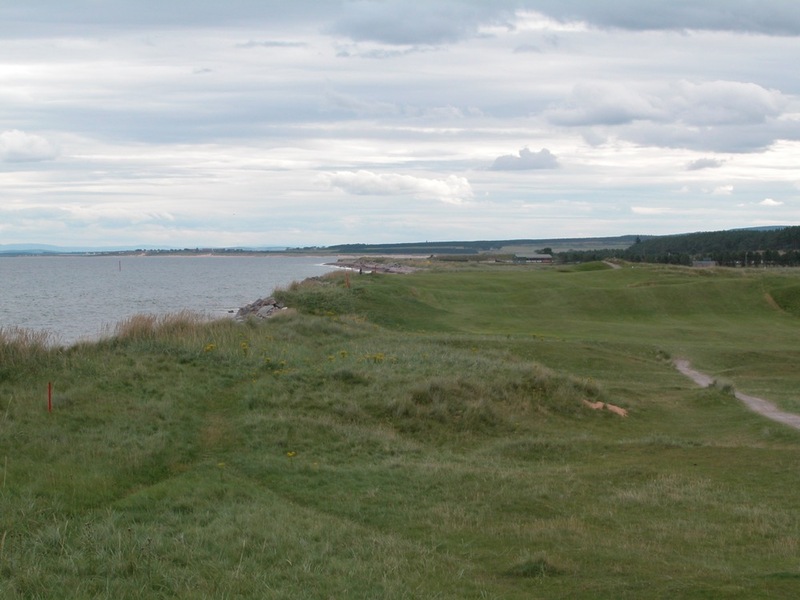 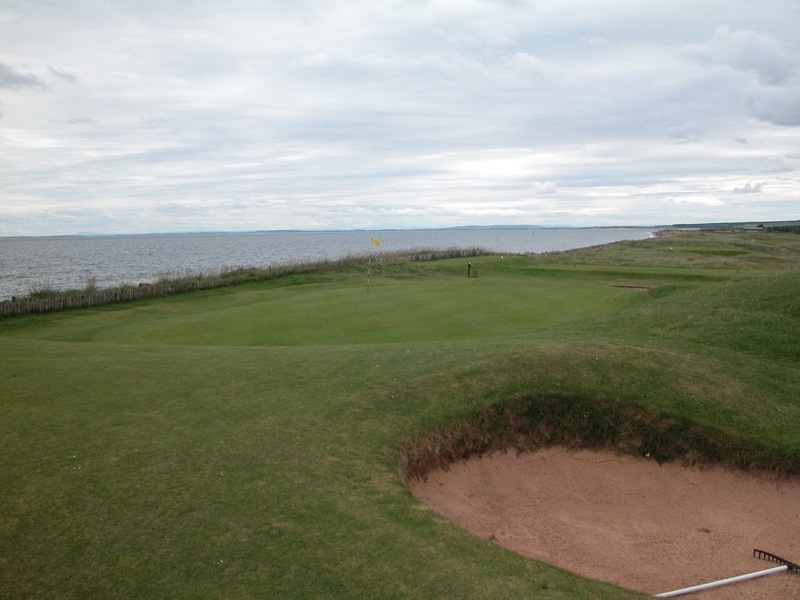 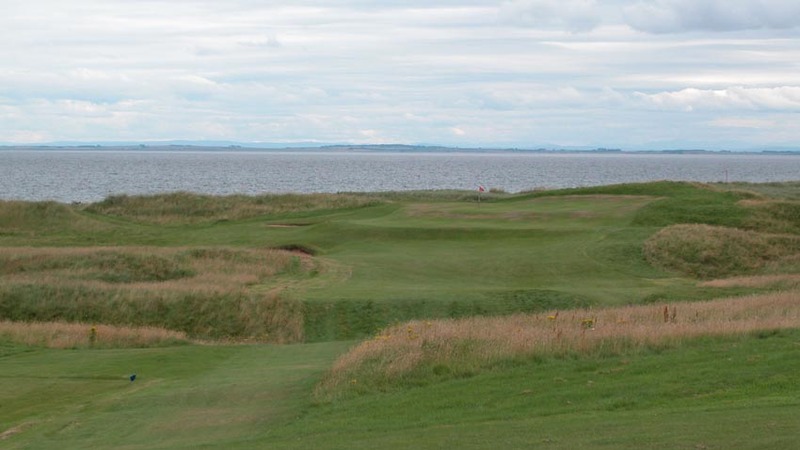 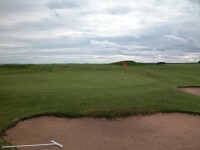 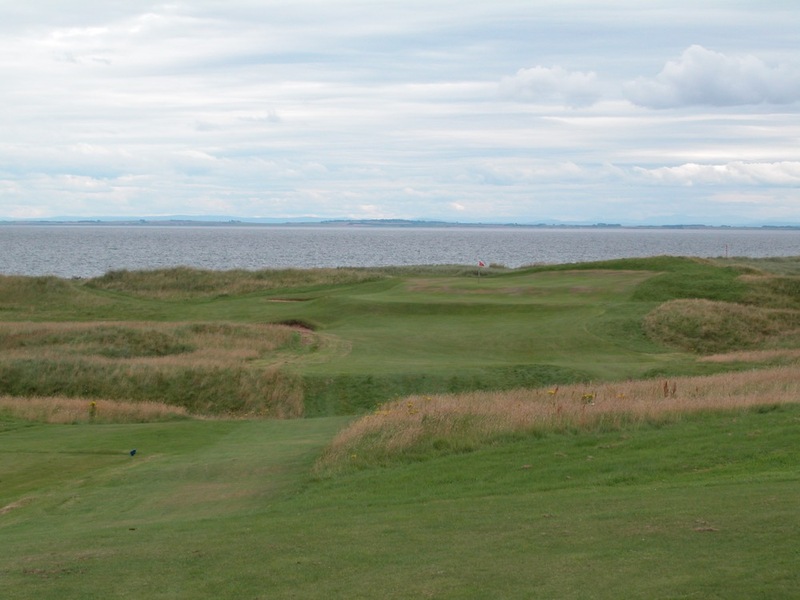 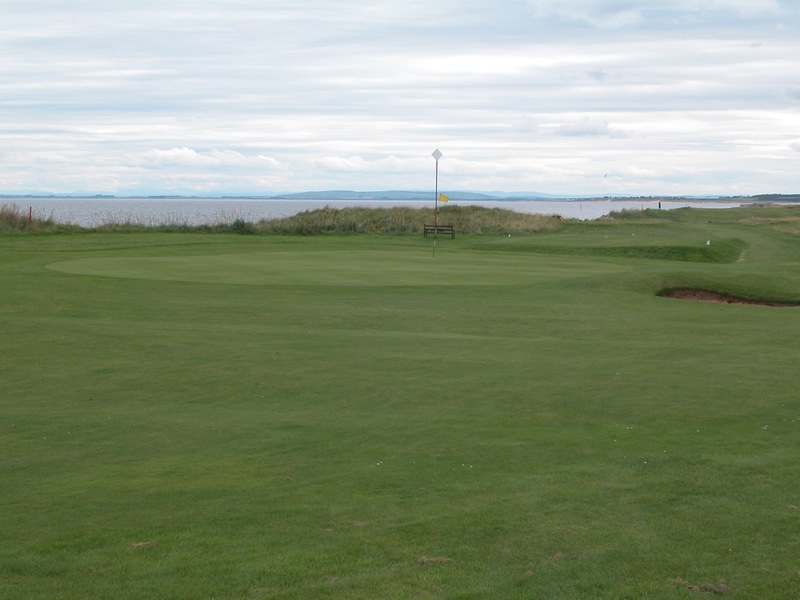 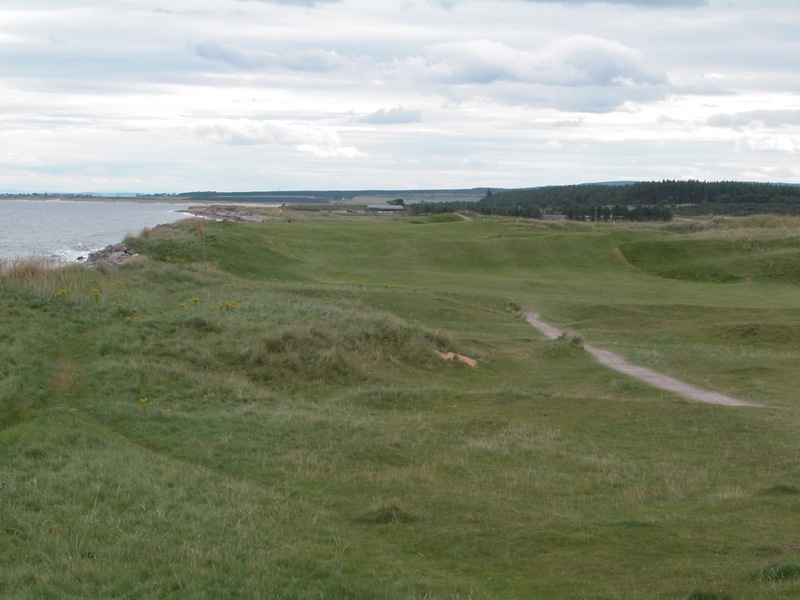 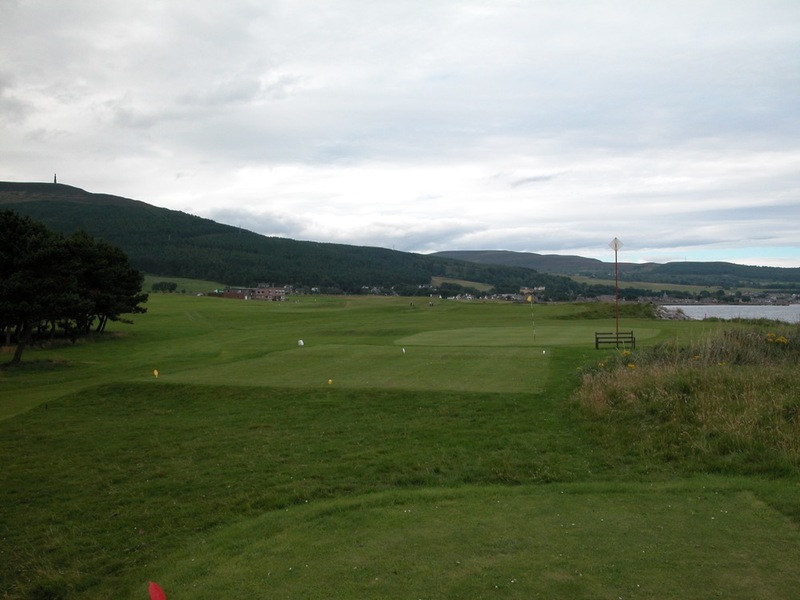 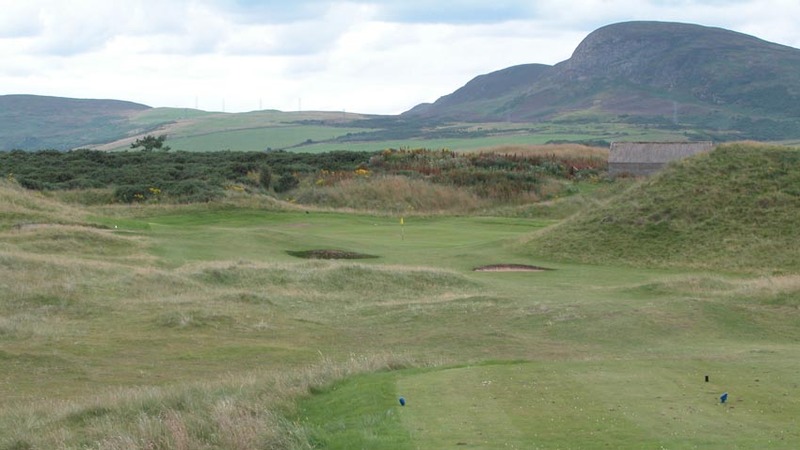 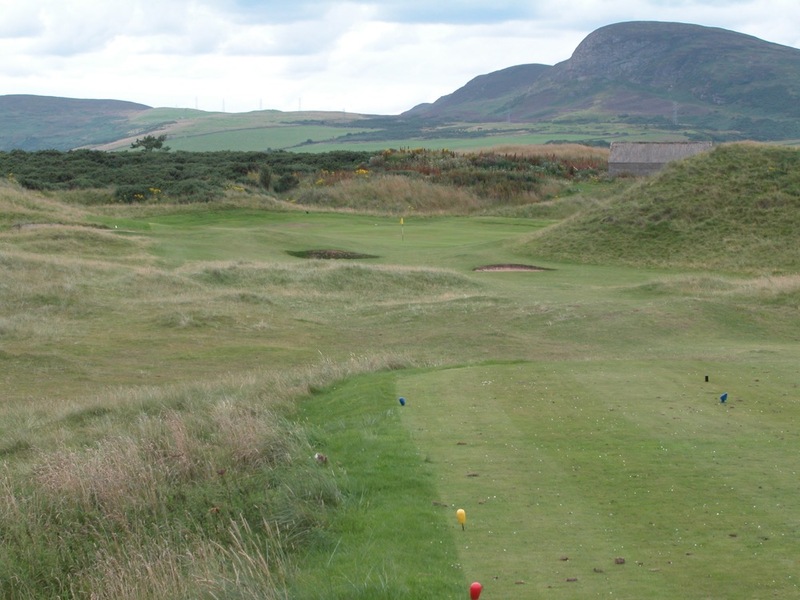 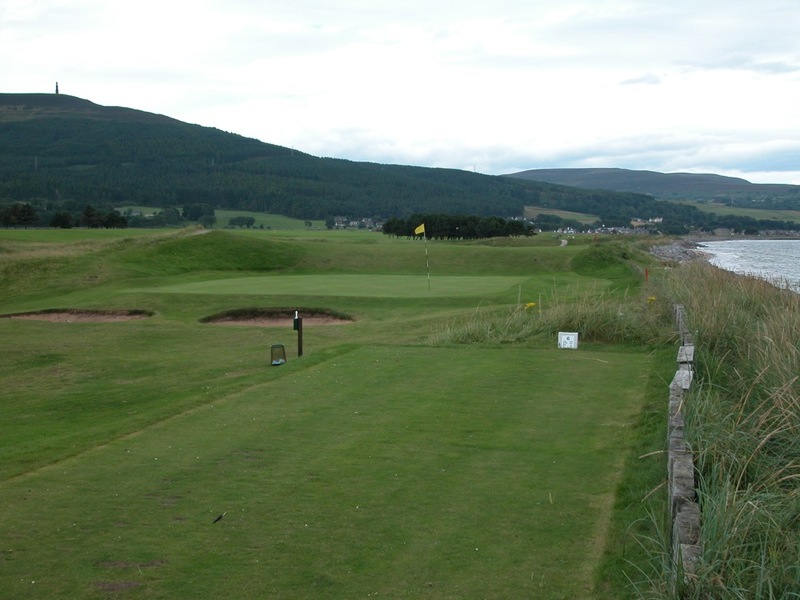 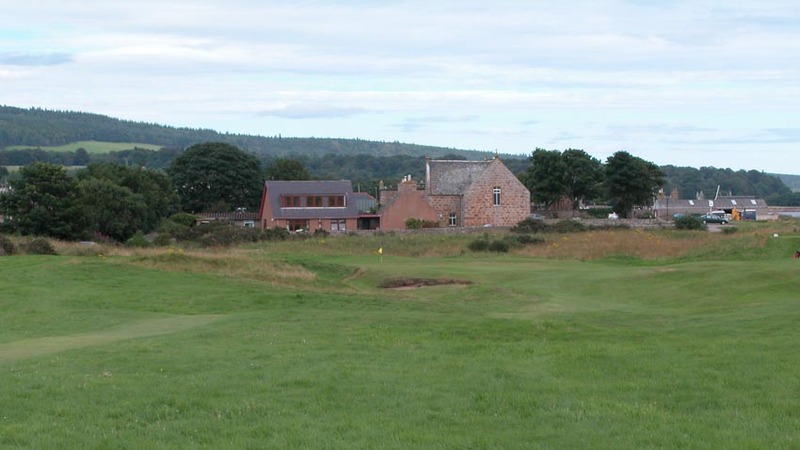 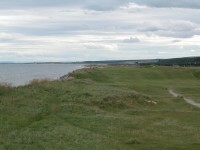 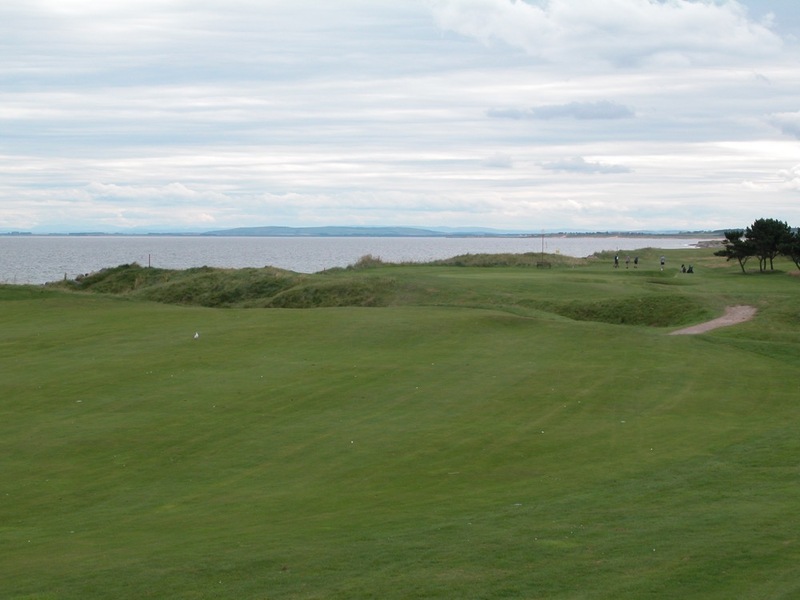 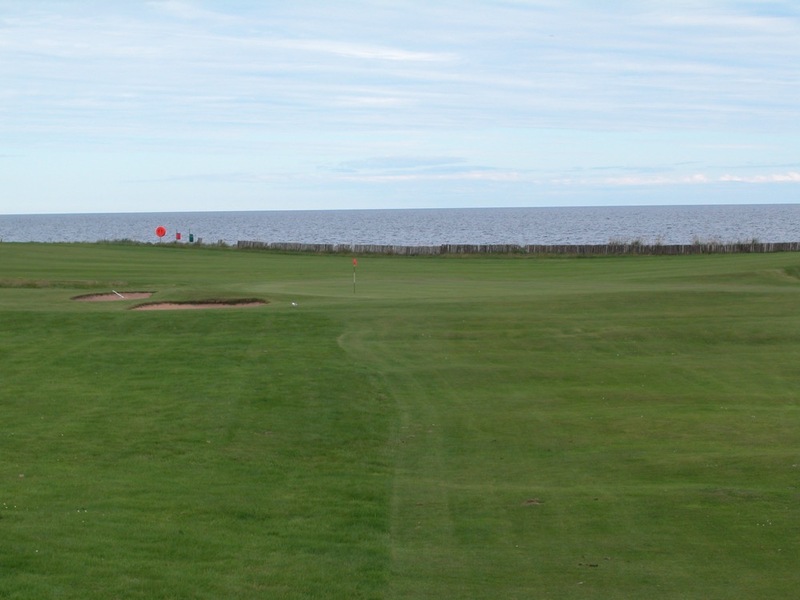 Golspie Golf Club is the essence of this, roughly midway between Royal Dornoch and Brora, and Golspie is perhaps the only course in the world that combines links, heathland, and a bit of parkland golf in the same 18-hole layout. 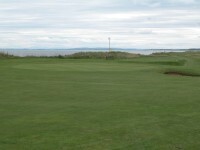 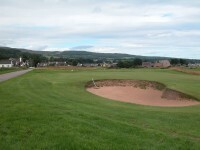 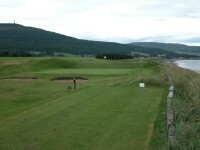 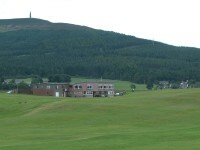 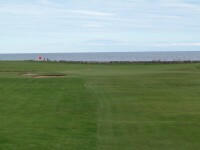 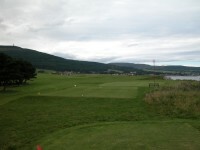 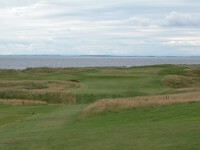 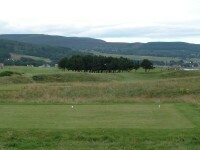 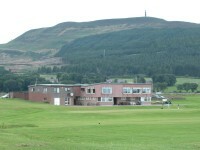 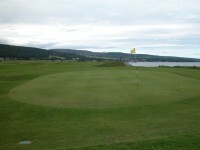 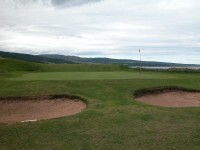 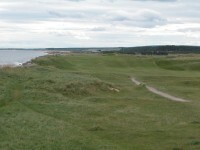 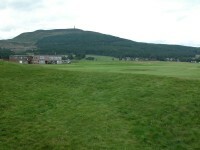 Golspie Golf Club begins with a wonderful stretch of Scottish links golf along the sea, from the 3rd through the 7th, before turning towards the lovely purple (when in bloom) heather amidst the pines from the 8th through the 12th, and finishing with a stretch of lush, challenging parkland from the 13th to the 18th. 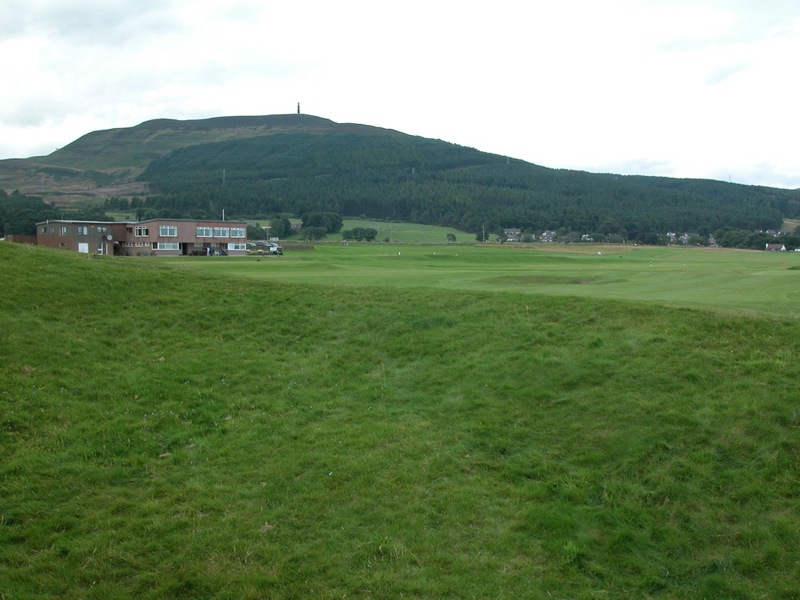 All of this in the shadow of Ben Bhraggie and the imposing statue of the 1st Duke of Sutherland, a famous Scotland monument indeed and a beautiful and stunning backdrop to the golf at Golspie. 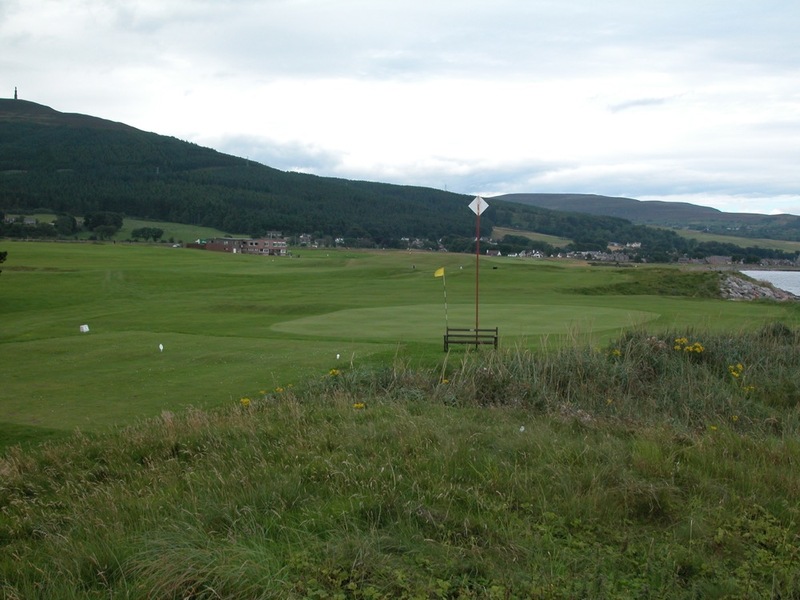 We could think of no finer place for a late afternoon or evening round of golf while in Scotland, especially in the summertime when it is daylight nearly through midnight, than Golspie Golf Club!